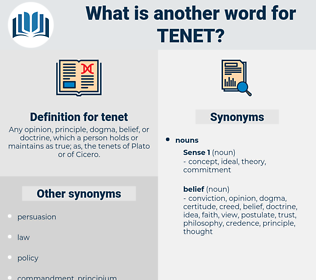 What is another word for tenet? 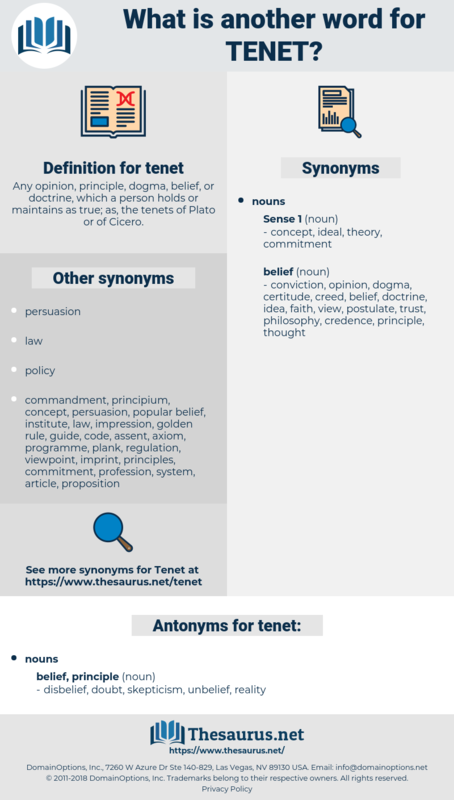 Any opinion, principle, dogma, belief, or doctrine, which a person holds or maintains as true; as, the tenets of Plato or of Cicero. disbelief, doubt, skepticism, unbelief, reality.